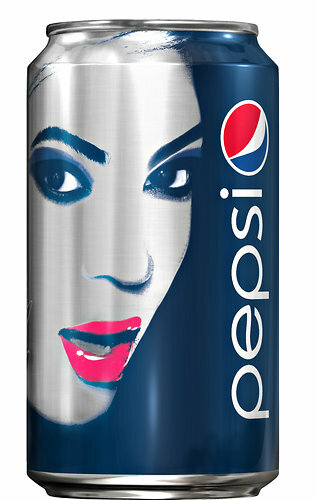 A limited edition Pepsi can developed in partnership between the beverage company and Beyoncé will first be seen in Europe in March 2013. The campaign will coincide with a blitz of promotion for her next album, which has no title or release date so far but is expected in 2013. Sometime after she performs at the Super Bowl halftime show on Feb. 3 (also sponsored by Pepsi), Beyoncé will appear in a new TV ad — her fifth for the soft drink since 2002 — and her face will be on a limited-edition line of soda cans. Anybody remember any more cans she's been on? If I remember correctly, she has also been on Pepsi cans from Thailand.